CHAPPER healthcare – a leading global wholesaler and distributor – has opened two European hubs as part of its expansion strategy. Announcing the news ahead of Europe’s leading pharmaceutical exhibition Expopharm 2018, the company has introduced warehouses in Belgium and Netherlands to help strengthen its presence across Europe. 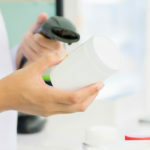 This now means CHAPPER healthcare can handle products without them entering the UK, reducing the overall time it takes for medicines to get to the end user. 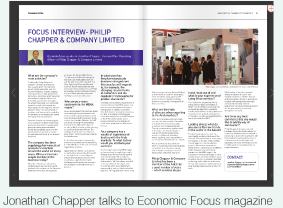 For over 40 years Philip Chapper & Company Ltd, has had a worldwide reputation for successfully sourcing and distributing pharmaceutical products globally. They offer a wide range of high quality products and pride themselves on delivering an ethical and professional service to a broad spectrum of customers including suppliers, healthcare establishments and end users. 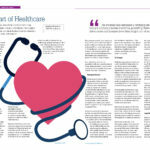 Recently rebranded as CHAPPER healthcare, the change of name reflects the wider changes taking place across the organisation. The CHAPPER healthcare team is looking forward to sharing their new branding and expansion plans with long standing partners and customers, as well as with new contacts. Expopharm 2018 will take place from 12 – 15th October 2018 in Munich and throughout the congress, CHAPPER healthcare will be located in Hall B6, Stand J-19. The exhibition is Europe’s key pharmaceutical trade fair, attracting key decision-makers from all sectors of the pharmacy industry. Did you know that CHAPPER healthcare is licensed to supply veterinary medicines across the world? CHAPPER healthcare has a global reputation for successfully sourcing and distributing a wide range of veterinary medicines. 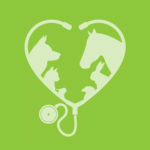 Contact us for the full veterinary list and to find out more.